Hello, my name is Nate Worley and I am your State Officer for District 8. 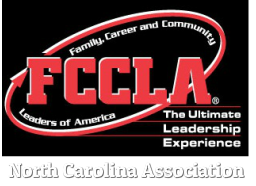 I serve the Tar Heel State as the North Carolina FCCLA State President. I live on a farm in the mountains of Buncombe County just outside of the City of Asheville, and I am proud to call District 8 my home. The scenic views of the Appalachian Mountains, the friendly people who live throughout the region, and the delicious food and vibrant culture of Western North Carolina make it a special place to live. If you come visit District 8 make sure you stop by downtown Asheville for an experience unlike any other. You can eat at any of the highly acclaimed cafés and restaurants throughout the city, venture into the many greenways and parks, or hang out at the city’s drum circle on Friday night for an interesting musical adventure. Also check out the historic Grove Park Inn and the Biltmore Estate to experience the beauty of Western North Carolina as you venture through the largest privately owned home in the United States. If you travel further west you can visit the Oconaluftee Village in Cherokee to learn about the history of the Cherokee people. Also you can visit the small town of Dillsboro. A visit to Dillsboro is like stepping back in time. Its five square blocks of century-old stores, restaurants, galleries and inns are a lasting reminder of small town America. You could also take a dip into Lake Fontana, Nantahala, and Hiwassee, and don’t forget to stop by and see the breathtaking views of the Smoky Mountains National Park and the Pisgah National Forest. The annual Apple Festival in Hendersonville draws people from across the state as well as the country to celebrate the orchards and farms in the mountain area. Make sure you don’t leave here without trying an apple fritter, apple flavored ice cream and delicious apple cider. Also you can hop on the Blue Ridge Parkway to find adventure in the most visited National Park in the United States. Go for a hike on the Appalachian Trail or climb the soaring peaks of Mount Mitchell and Mount Craig. If you want to see some of the Geological wonders of WNC come see Chimney Rock, Looking Glass Falls, and Sliding Rock. No matter where you visit in District 8 you will never be bored.